Nearly 16 months after Jörgen Carlsson from Bor (a small town in the Swedish county of Småland) bought his coveted Saab 9-5NG Sportcombi Vector TTiD the “impossible” became possible: the car was approved for use in Sweden. YS3GP5MKXC9000017 driving to the registration inspection. A long quest to find a solution to get this unique car road-legal in Sweden had finally resulted in a positive result. Like its twin (at least from the perspective of the last two digits in the VIN) YS3GP5MG9C4000017, Jörgen’s car got permanently registered in Germany first before receiving its approval in Sweden. This now takes the number of 2012 SCs on Swedish plates to two (the story about the first one can be found here). A crew from local newspaper TTELA interviewing the proud owner. 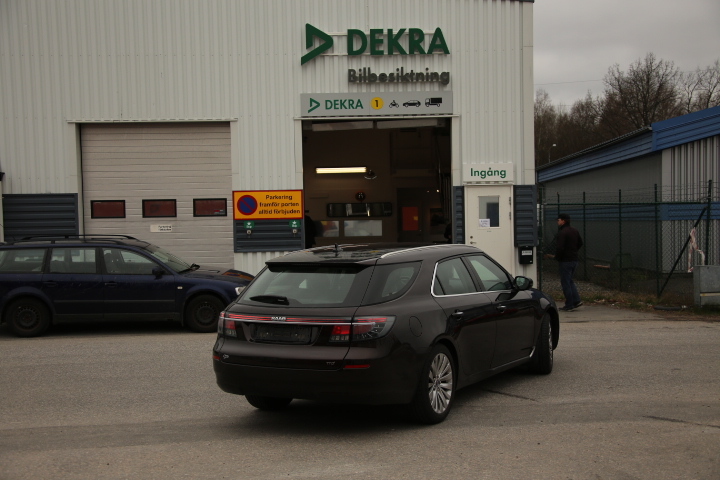 The story of the second Saab 9-5NG SportCombi receiving official Swedish registration plates even triggered the attention of the local Trollhättan newspaper TTELA (read article here). 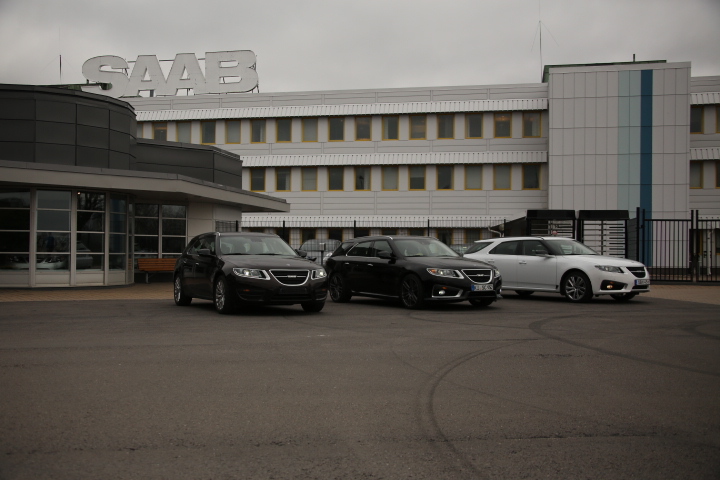 #YS3GP5MKXC9000017, #YS3GR5BZ9C9000004 and #YS3GP5MG9C4000017 in front of the main gate of the SAAB factory. The 10th of April 2014 promised to be a very special day and Markus Lafrentz and Michèl Annink were on site as well with their SportCombi’s in support of the registration of Jörgen Carlsson’s car. The support crew was even joined by Göran Kähler (also featured in the picture above), a real subject matter expert in the field with a 44 year track record at Saab, who had also assisted Jörgen on the way to registration. A great day indeed and one providing hope for the (at least) five in Sweden residing 2012 SportCombi’s to return to the road soon too!